Korean film “Burning” was nominated best international film at the Independent Spirit Awards 2019, Pine House Film announced Tuesday. The Independent Spirit Awards, founded in 1984, are dedicated to independent films or movies that are not produced by major film studios. The awards are often seen as indicators of which films could win prizes at other prominent awards ceremonies, including the Oscars. “Burning,” a mystery drama released in May, was directed by Lee Chang-dong and starred actors Yoo Ah-in and Steven Yeun. Other nominees for best international film include “The Favourite” (United Kingdom), “Happy as Lazzaro” (Italy), “Roma” (Mexico) and “Shoplifters” (Japan). 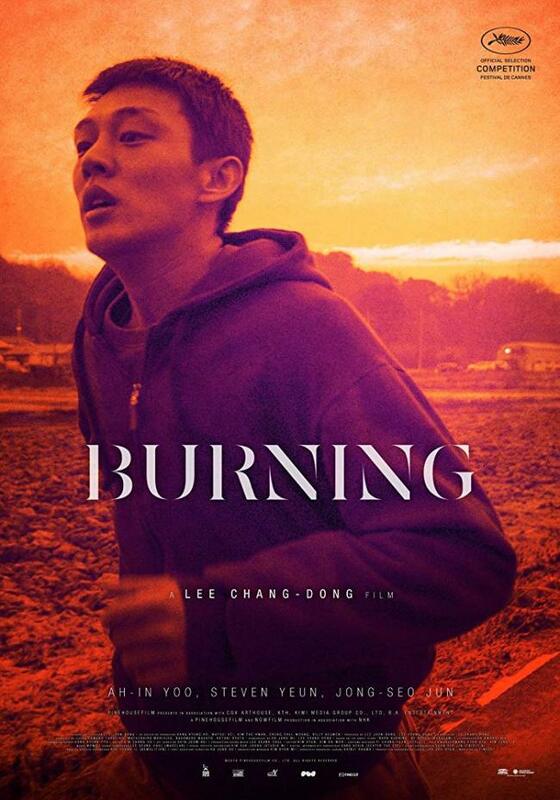 “Burning” is the third Korean film to be nominated for the award after Bong Joon-ho’s “Mother” in 2008 and “Oasis” in 2005, which was also directed by Lee. It has received nominations at multiple international awards including the Cannes Film Festival and the Academy Awards. The film was awarded at Films from the South held in Norway on the weekend.